Jim Johnson, from Hi Country Snack Foods in Lincoln, Montana, went ice fishing on Holter Reservoir over this past weekend, and the old mountain man had a couple of good days. 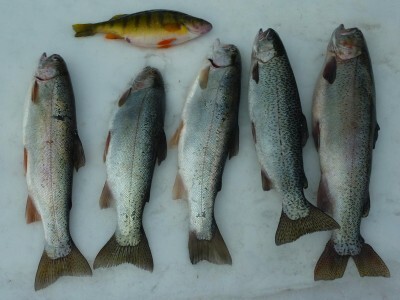 As you can see by the pictures, Johnson caught some nice trout and a fairly good size perch. The trout mostly measured in the 18 inch class but the bigger on e is close 21 inches. 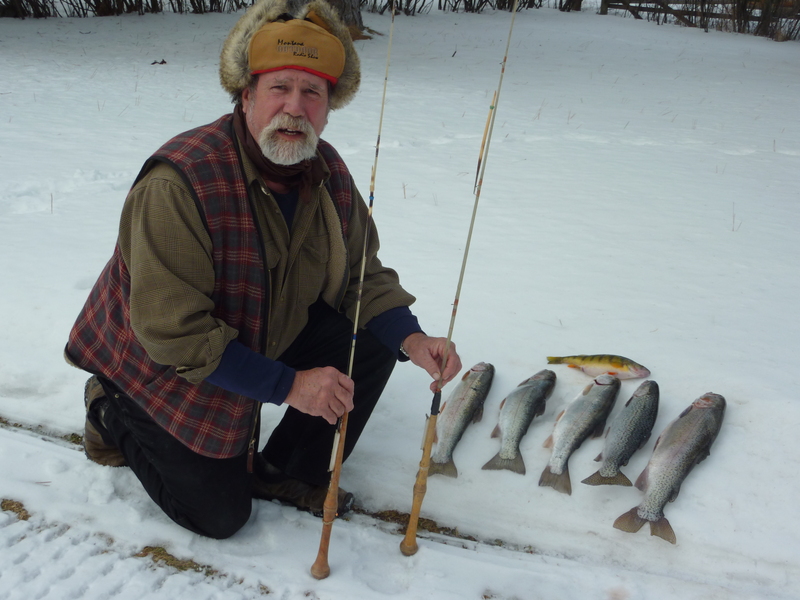 Both days Johnson saw more than a few trout on the ice and ended up keeping these nice fish. “I used maggots and fished in about 14 feet of water by the dam in Lincoln Bay about 72 steps from the power lines, ” Johnson reported. He said the ice was about 12 inches. “I talked to some guys that were just leaving Log Gulch campground to go fish for perch”, added Johnson, ” they said that they were catching nice sized perch on the other side of Oxbow Bend, over the hill from the campground”. Johnson said they also reported good ice 12-14 inches on Holter Reservoir.